The One World Centre has joined the Climate Change Coalition, a group of environmental, humanitarian, charitable and political organisations in the Isle of Man who have come together with the aim of encouraging and supporting the Government in its commitment to reducing carbon emissions and moving to a low carbon society. The coalition, which also includes IoM Friends of the Earth, Manx Labour Party, IoM Green Party, IoM Woodland Trust, Manx Energy Advice Centre, Christian Aid and Amnesty IoM, has committed to speak as one united voice on the urgent need for the Isle of Man to get to work on fighting climate change. This follows the most recent Intergovernmental Panel on Climate Change that warned there is a window of only twelve years to do something about preventing global temperatures rising above 1.5 degrees, beyond which there will be irreversible changes to the world we live in. With more and more people recognising that this will affect the lives of their own children and grandchildren, the Coalition plans to both encourage and support our Government to address climate change by working in three areas: reducing emissions, (measured against interim targets), investing in renewables and keeping our sustainability promises to UNESCO re our Biosphere status. Garff MHK Daphne Caine has called for a Tynwald Select Committee to investigate the practicalities of the Isle of Man accepting Syrian refugees under the UK’s Syrian Vulnerable Persons Resettlement Scheme. This is a subject that has created a lot of emotional response on the Island – both for and against – and such an investigation would allow debate based on facts and figures, rather than fear and hearsay, and is a move that would be welcomed by the One World Centre. The Syrian civil war has been ongoing since 2011 and has created the biggest refugee crisis in Europe since the Second World War. Half a million civilians have died, over 6 million are displaced within Syria and almost 5 million have fled the country, with the vast majority ending up in huge refugee camps in Turkey, Jordan, Lebanon, Iraq & Egypt. The conditions in many of these camps are desperate and, despite huge amounts of foreign aid, they cannot cope with the magnitude of the crisis, particularly as these camps are in relatively poor countries with severe needs for their own populations. Many European states have closed their borders, although others such as Sweden and Germany have been more welcoming. The U.N. Refugee Agency advocated that 10% of the 5 million in the Middle Eastern camps should be resettled in a third country, particularly the most vulnerable. Countries around the world pledged to resettle nearly 250,000, half of the estimated target. In 2015 the UK Government committed to accept 20,000 over 5 years from the Middle Eastern camps, and by the end of 2017 some 8,000 had arrived under this ‘Syrian Vulnerable Persons Resettlement Scheme’ (SVPRS). The IoM Government has generously given relief aid to Syrian refugees trapped in Middle East camps, but many people feel the Island should investigate whether we can welcome a very small, but fair, number here on the island – to offer them an opportunity to start a new life in a safe place. We believe that civil society would play their part alongside government in welcoming them to our shores. If you would like to see a Select Committee established to investigate this, please contact your MHKs (or any MLC) before 20 November to express your view and ask for their support in backing this motion. 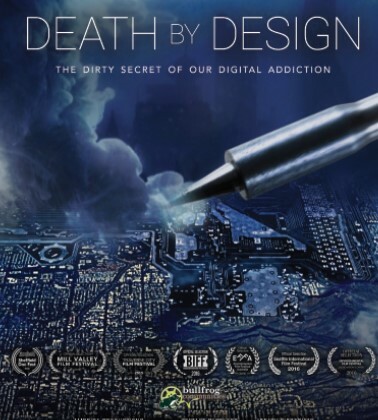 As part of our One World Week activities we will be hosting a free screening of Death by Design, a new film which uncovers the global impact of our digital addition, particularly on the environment and public health. With the number of mobile phones in the world forecast to reach 4.68 billion by next year, the film raises issues we all need to think about, not least how are continually encouraged to buy bigger and better to keep up with evolving technology. 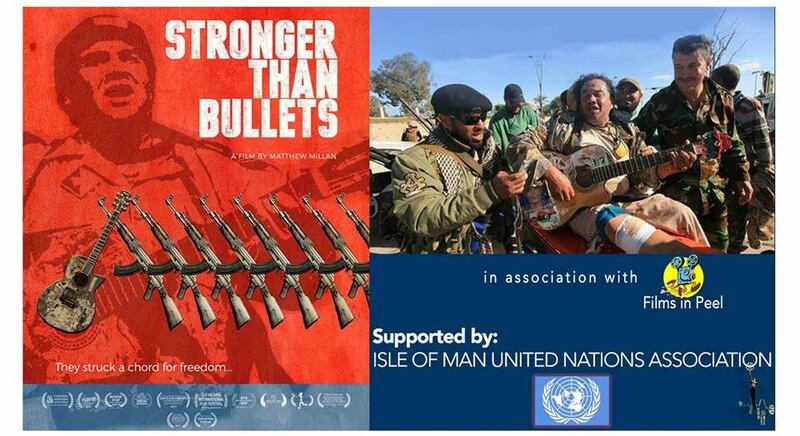 The screening takes place at the Bath & Bottle on Victoria Street in Douglas, on Tuesday 30th October, from 7.30pm. Please let us know if you are coming by emailing info@owciom.org so we can ensure there are enough seats! Open to all although please note you will need to be 18+ as it is licensed premises. One World Centre volunteers will be collecting this weekend for the DEC Indonesia Earthquake and Tsunami Appeal which is focused on helping the survivors of the devastating events experienced on the island of Sulawesi. Over 1300 people have lost their lives and hundreds of thousands of people are in need of humanitarian aid. We’ll be collecting in all the major towns and need more volunteers to help make our efforts worthwhile. Please get in touch with Wendy on 800464 or email info@owciom.org if you can help. The Isle of Man International Black and White Association has launched a photography competition based on the theme Our Island Nation. It’s almost July so it’s almost time for the Global Village. Each year we try to bring an international dimension to the Tynwald Day celebrations to mark our cultural diversity and the Isle of Man’s place in the wider world. 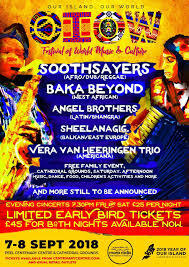 This year we have a feast of food – African, Caribbean, Filipino, Colombian, Indian and Thai – as well as music and dance from around the world plus lots of fun activities and stalls. Learn to write your name in Chinese, find out about some great Manx charities working overseas and other groups doing their bit for global sustainability. We’ve also got the Children’s Farm and Isle of Play so there’s plenty to keep everyone entertained. Come along and join in – 5th July, 10am to 4pm at the Arboretum, St Johns. A team from Ramsey Grammar School, representing the Pahar Trust, has clinched this year’s One World Charity Challenge competition, winning £3,500 for the charity that works to improve education and healthcare for children in Nepal. The finals of the annual competition for the Island’s Year 12 students took place at the end of March at Babbage’s, Mountain View Innovation Centre, kindly hosted by AFD Software, the sponsors of One World Charity Challenge. This year saw all seven of the Island’s secondary and further education establishments taking part, with twenty-two teams entering overall. Each team is tasked with researching a small charity involved in international development and developing a 10-12 minute multi-media presentation on their findings, including reference to how their particular charity meets the UN Sustainable Development Goals and the impact it has on young lives. All the teams were able to secure some funding for their chosen charities with some £13,500 being distributed in total. This included a new prize of £1,000 for the team that was judged to have demonstrated the best advocacy for their charity. This was won by a team from King Williams College who had set up a school linking programme and undertaken other promotional work for their chosen charity Global Action Nepal. 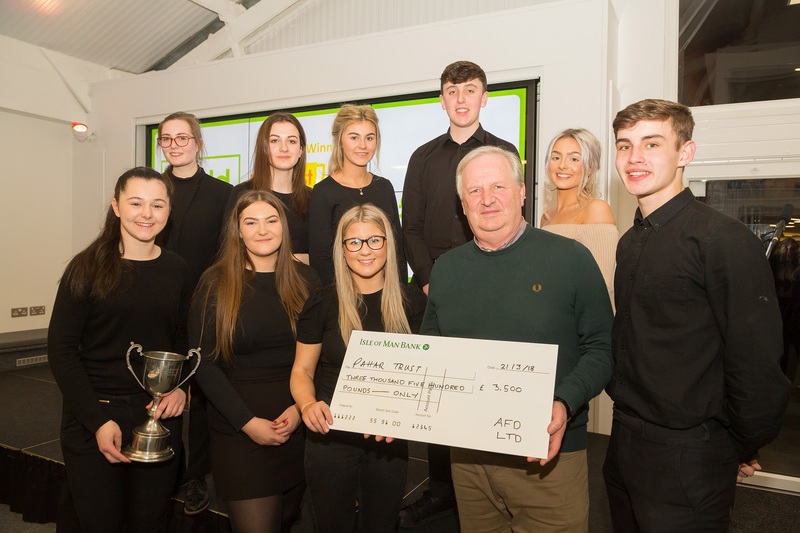 The team from St Ninian’s High School, representing Developing Orphans, a charity working with children in Uganda, were runners up and also took the audience vote which gave them £3,000 altogether for their charity. 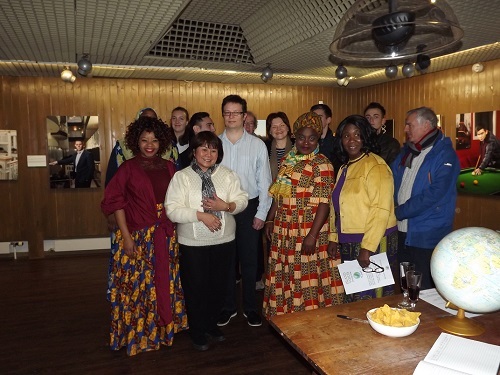 In third place was the team from QEII who won £1,000 for Hands of Hope. Ballakermeen High School, University College Isle of Man and Castle Rushen High School each won £500 for their charities Glad’s House, Dekamile and Koru Hospital Fund respectively. Well done to everyone who took part – we are sure you learned a lot about how charities work and how ordinary people can make a tremendous difference to the lives of others. 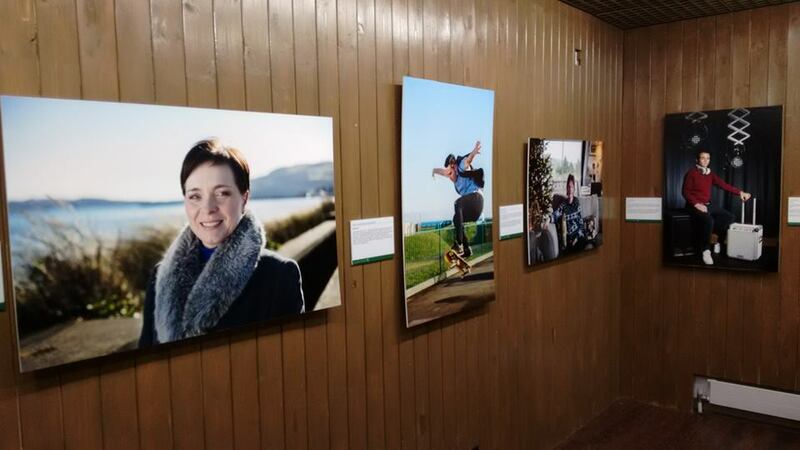 We w ere thrilled to launch the inaugural exhibition showcasing our Island Voices – Journeys to the Isle of Man project at the Manx Museum last week. The project was inspired by the findings in the 2016 Census that we have people living on the Isle of Man from 164 countries around the world – and that doesn’t include the UK, Eire or the Isle of Man itself! We wanted to explore what brought people to the Isle of Man, how they found it when they arrived and what has kept them here. The responses we received show that although life on the Island may be very different to where they have come from, there are many shared values among the participants as well as a positive approach to using their experiences to broaden their outlook on life. We were extremely lucky to have the services of photographer Milen Stankov, himself from Bulgaria, who has taken amazing portrait pictures of our participants. We are also grateful to the Isle of Man Arts Council and Culture Vannin for their support of the project and to Manx Radio who broadcast a number of interviews with the participants late last year. The exhibition is a snapshot of the project at the current time; in the longer term we will be using the feedback we have gathered to produce an educational resource around changing populations, migration and global mobility. If you have moved to the Island from overseas and would liketo take part in the project, please get in touch. 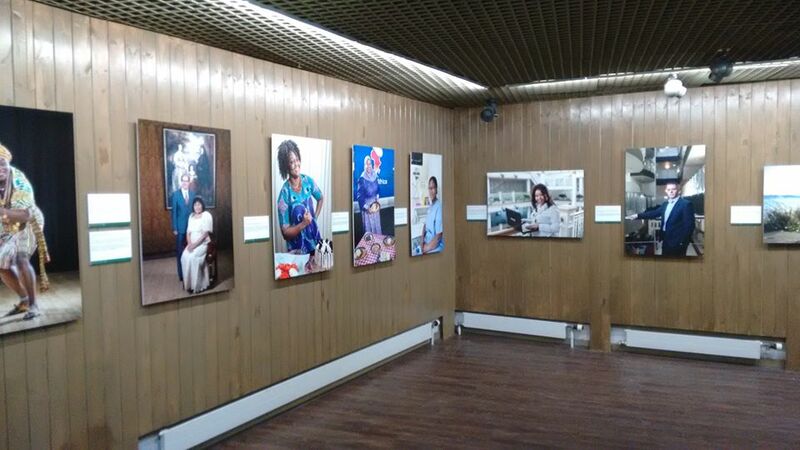 Island Voices – Journeys to the Isle of Man is on display until 17th March.